About the Book: Grace was raised to be an angel-a suicide bomber who would honor her mission. But Grace can't die for the cause so instead she's on the run trying to get to a new life of freedom. She escapes to a train where she hides in plain site with her strange traveling companion Kerr, who has secrets of his own. GreenBeanTeenQueen Says: Grace is a stunning book that proves to me that Elizabeth Scott can write anything! Grace is a dystopian book that doesn't feel like a dystopian. It's a raw and powerful read that is chilling because readers can see the events easily unfolding today. Grace comes from a society that is blindly following Keran Berj and is part of a group that opposes his rule. Keran Berj's rule is frighteningly familiar and terrifying. Just look at history to see how a ruler like this could take over and it's easy to believe in Grace's tale. The reader is thrown right into the story of Grace's escape. We are not given a background to understand what's happening, we're thrown right in and at first this is a little jarring. But I love this because it's up to the reader to figure out what's happening instead of being told the entire story upfront. Events unfold and we're given new details slowly throughout the novel-the plot unfolds in subtle layers and it's something as a reader you want to savor. There are moments when we come to a realization or discover something the same time Grace does-and I love those moments when reading! There are also moments that made me gasp in shock and surprise-I truly felt like I was there with Grace and going through everything with her. 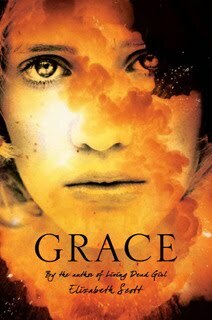 Grace is different from other dystopian novels that I've read in that this one is not action packed and full of adventure. This is a quieter sort of dystopian that's more pensive-Grace is on the train thinking about her actions and the choices she's made and the outcome and path before her because of these choices. Grace is a look at one person's choices and how much power just one person can have, even if they don't realize it. The ending is something I can't wait to discuss with my teens because I'm curious to see if they view it differently than I do. Grace screams to be discussed-with other readers, in book clubs, in schools. Make sure you read this one with someone so you can talk about it after. Grace is an amazing addition to the young adult dystopian fare and will stay with you long after you read it. I read this one a month ago and my thoughts are still haunted by Grace's story. A must read release for 2010! Book Talk Ideas: What if you were asked to give up everything? To die for a cause you weren't sure you believed in? Could you do it or would you try to escape? Grace has made that choice-she can't bring herself to be the suicide bomber she was raised to be. Now she has to try to escape-but escaping your fate isn't as easy as it seems. Looking forward to this one. reading Elizabeth Scott sometimes makes me a little nervous as I never know quite what to expect (i.e Living Dead Girl) The topic of this one has really peaked my interest though. Great Review. 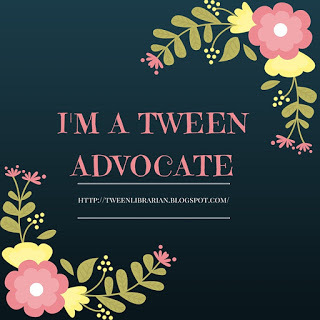 Also wanted to let you know that I'm passing along an award to you! Congrats! I really look forward to reading Grace - am a huge fan of Elizabeth Scott and YA that can push boundaries. Fantastic review! This is already on my wish list, and rightly so. It sounds amazing. Yes, she can write anything.